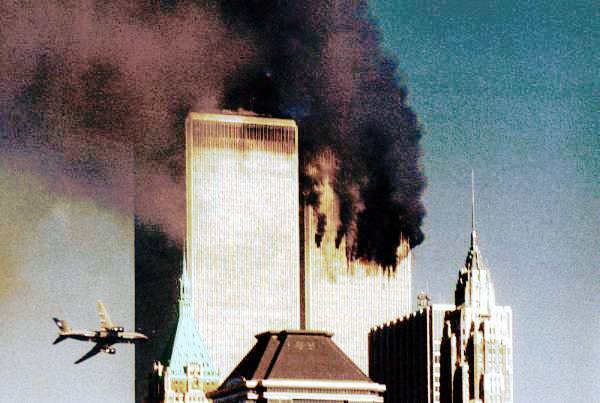 zenpundit.com » Blog Archive » The Nine Eleven Century? This entry was posted on Sunday, September 11th, 2011 at 3:53 pm	and is filed under 20th century, 21st century, 9/11, al qaida, America, analytic, geopolitics, history, Uncategorized. You can follow any responses to this entry through the RSS 2.0 feed. Both comments and pings are currently closed. Your words resonate with an eloquence that gives voice to the hopes and dreams of all of us who share your views; that as we pause to remember 9/11, we use its memory and the following decade, to reflect and re-purpose our destiny as Americans. Mark, Simply excellent! Amen! and Amen!!! But the hard part is taking that first step . . .
Nice post, and I agree….but then what? I haven’t been able to follow you closely recently, so perhaps you’ve already covered it, but what are your suggestions? A not insignificant minority of the adherents of Islam want to destroy western civilization. OBL was able to harness the power of the individual (which is ironic since the U.S. is all about the power of the individual) to commit terrorism resulting in mass casualties and economic hardship. President Bush sought to bring democracy to the middle east in the hopes of remaking them in our image. You suggest taking a step back. O.K. Perhaps one of the things the country needs to discuss is the role of Islam and then how we best deal with it. Agreed. Agreed we also need to answer: Now what? How about a blog roundtable on "lessons learned in the post-9/11 decade"? Great idea that needs to happen while the iron is hot. You can wish that this decade will not mutate into a future that you would leave to your children, but it would only be a wish. 9/11 was, fundamentally, a result of the uniquely Western belief that war is an aberration and that peace is the norm. The truth is, of course, the opposite: conflict is eternal, peace the exception. The Western world had been insulated from conflict for so long that 9/11 was quite a shock, but it brought attention to a portion of the world that had been relatively ignored, and a demographic and cultural threat that today our elites would prefer that we continued to ignore. But the 20th Century was not entirely shaped by World War I. World War II was, undoubtedly, influenced by it. WWII may well have not happened had the Western world ceased their obsession to have peace, precious peace, peace at any price. All we did was delay the onslaught of the chaos that was about to unfold instead of isolating it to a small campaign to stop Germany from breaking their agreements. But, of course, this rather conventional history ignores the failure of the West to smash the Communist insurgency that took over the Russian Empire in the days immediately following the end of the war. These Communists were somewhat ignored by the elites, for were their aims, peace, bread, and equality, not shared by all? The Red forces rampaged throughout central Asia and fomented revolutions within Europe that resulted in the rise of Fascist movements. Had the Communists been smashed, it is doubtful that the Fascists would ever have come into existence. And in our rush to focus on World War II from a Eurocentric perspective, what are we to make of the Japanese, who rampaged about east Asia for almost a decade before the start of any hostilities in Europe? Can their imitation of, and misinterpretation of, European colonial imperialism be blamed on World War I? I don’t think so. And had the United States maintained a monopoly on nuclear weapons, would the Cold War have lasted as long as it did? Would it have remained cold? I doubt it. Our obsession with ending WWII led us to overlook the basics of operational security and we lost perhaps the single greatest chance the United States ever had of bringing about a decent world order. What about Vietnam? So much of American foreign policy focused on limited intervention instead of full scale military adventures because of our supposed military failure in Vietnam. Our entire strategy in Desert Storm was based upon lessons learned from Vietnam. A successful military operation led liberal internationalists to go about ditching the lessons altogether, as you shall see below. And how much of the late 20th Century and early 21st Century can be blamed on the Holocaust? "Never again!" is the motto of the R2P liberal internationalists, a bizarre class of liberals who have no problem with military force as long as it is not used for any selfish national purposes, such as defense or natural resource exploitation. Despite the fact that many of the advocates of R2P consciously ignored leftist atrocities throughout the world during the 20th Century, they constantly hark back to Fascist violence in eastern Europe in WWII to justify intervention to overthrow governments who conduct even the smallest of massacres. Fortunately, realists have done a good job fencing these people in and keeping them from launching out at every indiscretion that they seem unhappy with. The 21st Century will only be shaped by 9/11 if we allow it to be. But if we do allow 9/11 to shape our entire worldview, we will not be prepared for what’s coming next. Conflict is looming right around the corner, and it will not come from a place that 9/11 indicated to us that it would. We lack a coherent strategy and that rolls downhill in military planning. Navy shipbuilding is a damned mess and our Fleet is shrinking by the day. I’m all for a roundtable, but we need to start paying more attention to what China does and says while they are still manageable—in ten years time, they could be dictating terms. The hyperbole coming out of China over the F16 issue was over the top, and no one in the administration said a word. When a foreign entity starts calling our congressmen madmen (even if they are), we should take notice. Words today, ordnance tomorrow. We have choices, we need more ships and the Air Force needs more plans—as a start. Nice post, Mark. One thing I would change would be the dates of the 20th century, though. I’d pick 1871-1991, with the main problem that is resolved is the role of Germany and Central Europe in the world polity and economy. The Franco-Prussian War is the watershed event from which WWI flowed from. But that is a mere quibble. Thanks for remembering so well. Many want to forget the past as quickly as possible. I wish not to dwell in the past, because being an American, in part, means being oriented toward the future. But we should not forget. J.scottshipman. If you believe our administration and congressmen are madmen, assuming anyone who doesn’t respond to China is mad, then perhaps we should continue to prepare for war by disarming even more and let someone else prepare for peace. There is no consensus in the US for the wealthy to pay more, and the poor are not making living wages. What’s left of the middle class are spending as much as they can, but on things from China , and not on what you lined out as needed. Thank you for your very kind words, they are much appreciated! On the issue of a RT – it is a good idea. I think it will be most successful in bringing in a wide spectrum of views and disciplines if perhaps – as with the "nuclear blog-tank"- we had a friendly co-host blog on the other side of the spectrum. Perhaps Cheryl Rofer at Phronesisaical might be willing? That would be a good bookend with CBZ and we could accomodate a wide spectrum of participants more easily ( there’s a lot of folks on both sides of the aisle who don’t feel comfortable guest-posting in "enemy territory" so to speak) and more blogs will generate more buzz. It would also ease moderator duties by sharing them. So true, so true. There’s a lot of inertia against it, both self-aggrandizing and also purely partisan. Welcome back! I think there’s a hard-core of revolutionary Islamist terrorists who will always need to be functionally treated as outlaws and military targets but the focus of my post was really more domestic than external. We can’t lose sight of other threats or miss strategic opportunities while handling the Islamists or permanently change the character of our republic. I’d suggest that getting our political economy on a footing for growth and narrowing the surveillance state emergency legislation back down to it’s proper targets – terrorists – rather than the US public at large, is a place to begin. Very thoughtful response, thank you. I think you mischaracterize though, the elites of the WWI era., or at least the Europeans. The British and French saw the Bolsheviks as a threat as well as pro-German/anti-Allies – Churchill, Clemenceau etc. would have liked to see the Bolsheviks destroyed and their efforts to intervene in the Russian Civil War and aid Kolchak, Denikin, Wrangel etc. were to that end. It was an impossibly tall strategic order for the tired Allies to punish Germany and crush Communism in Russia at the same time. Trying to do both simply pushed two pariah states together enough to cause havoc in coming decades. To your larger point, there are, I agree, multiple causation "break points" in the history of the 20th century where history might have turned. It cannot all be attrivuted to the Great War. That said, WWI is a watershed for tearing down the old international order of "the long peace" while half-replacing it with untested idealist models and ideological models unconstrained by traditional societal checks on state powers. A second Great War without Nazism would have been a war of a different, less monstrous character. A Russian superpower headed by a moderate and parliamentary constitutional monarchy would not have been as menacing as the USSR, and so on. Indeed, in so many ways, we Americans have lost our way over the past 10 years. Around the world, everyday citizens fight in civil wars for the rights and privileges we’ve enjoyed, and yet, here we are letting our values, our rights, our decency slip through our fingers. We have a long way to go to regain the integrity and promise that was the American ideal. Let’s not wait to begin. Mark — Magnificent essay! I really didn’t think it was possible to wring new points from 9/11 on its 10th anniversary and still address its meaning for Americans, but you did it, and then some. I am just sorry I didn’t see the essay on the 11th, else I would have linked and quoted from it at my blog, an oversight I will correct now. I basically agree with you although I would express these thoughts in saltier language and the current elevation of "the troops" to some pedestal is one of the most disturbing if not fascist aspects of the post 9/11 trends. I’m sorry, but I am not moved by bromides about how much we owe them. Despite that, the following items could very well trump 9/11: One billion people now inhabit slums surrounding Third World megacities – giving rise to a situation unprecedented in human history. Global Warming may or may not result from industrial activity, but it is real. The Little Ice Age of the Late Middle Ages / Early Modern Era was one of the major contributors to the Protestant Reformation. Mexican drug lords are going to cause us problems that bin Laden could only dream of. Europe is disintegrating. If China does not disintegrate, I will take you to dinner at your favorite restaurant. Peak Oil. I tried to avoid thinking about 9/11 yesterday, walking out of the room when my girlfriend turned on a retrospective on the attacks. I didn’t read the papers or my favorite blogs.And I tried to imagine what would have happened if the bombers had been arrested at airport security. No occupation of Afghanistan, although I’m sure there would have been missile strikes and perhaps covert assassinations. No Invasion of Iraq. Although, its hard to see how Saddam would have survived an Arab Spring this year, esp with the help of US/European special forces.No Bush 2nd term, perhaps.No massive expansion of Islamic fundamentalism, radicalized by American interventions, and the memory of 9/11 and what was possible.No acceleration of the Iranian Nuclear project. No erosion of personal freedom in the US, rendition, torture, wiretapping, homeland security, bio metric data.”9/11 was a human tragedy, a tragedy for all those families who suffered loss. But we have allowed it to become a continuing tragedy, 10 years is enough, we need to put it in the past and move on, no more TV shows, books, pictures, videos, we need to live as if the bombers we caught at security. 10 years as their victim is enough for me. This is a topic that needs a roundtable perhaps more than any other. As noted above, I combined it on PWH with both Crispin Burke’s "Pulling out the Chocks. Lets Roll," along with a reminder of the sacrifice of Morgan Stanley’s Rick Rescorla in saving 2500 people that day because he had determined to know what to do after the first WTC attack. Your excellent piece, and Starbuck’s reflect to me the dynamic and the impact between "doing what you know vice knowing what to do." Sometimes in hind site, we seem to miss how hard that really is. Thank you for commenting – long time no see BTW! For those readers who are unaware, Wendy is the author of Give a Little. You don’t have to be moved but there’s a lot of people who have given quite a bit in service and while it is not the centrality of 9/11, it’s a downstream effect, so I thought it was worth acknowledging. There are other meta-trends happening, I agree but 9/11 is one within our power to construct or alter at any point while things like climate and demographics have very long trend lines before an action taken today can make itself felt. Thanks! Glad Crisp mentioned Rick Rescorla; Lex featured Todd Beamer at CBZ – they were the silver lining that awful day. The Chicago Boyz Blog Archive A New Doctrine is a notch above the crap they usually write. I will have to start reading their blog again, very good! I shouldn’t have said "crap" I meant view point, as in Orientation.